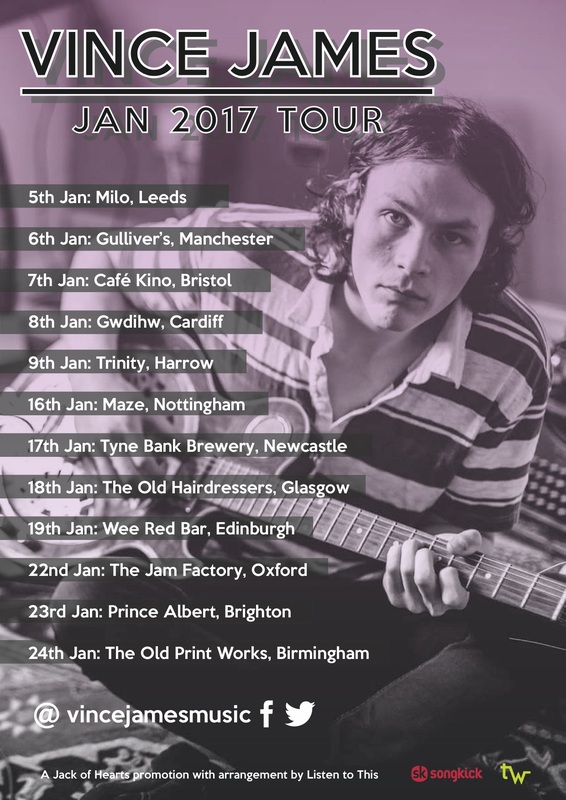 Vince James starts a U.K. tour today at Milo in Leeds. Vince James who released his debut single ‘Forget Last Night’ last year will play 12 cities across the United Kingdom. Since his debut effort Vince James has been busy demoing a whole host of brand new songs and recording his next single which is due to be announced imminently. For now, why not go and hear these new songs played out live at a venue near you? Pick up a ticket here.